Great shot! I love the turtle in your header photo as well! Thanks everyone- The sparrow is chasing something- look closely, and follow the bird's beak! Take a peek at the critter on my page. Great shot. Love the colour. Aw! It looks like he's singing to his reflection, in love with himself. 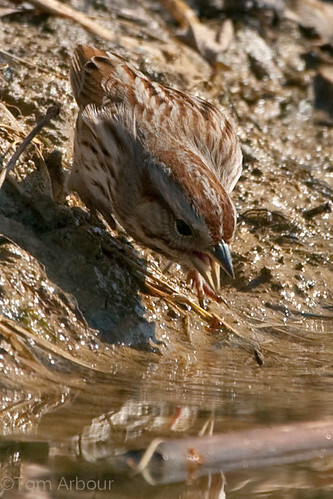 Sweet narcissist song sparrow.